It's easy to get confused between asthma and chronic obstructive pulmonary disease (COPD). After all, these two conditions share some of the common symptoms such as wheezing, coughing, shortness of breath and the inability to get air into the lungs. Not only they share the same symptoms but they also share the same medications for treatment. So, what are the differences between them? Asthma is a chronic lung disease that makes breathing difficult. With asthma, air passages are inflamed, which results in the narrowing of the airways that is responsible for carrying the oxygen to the lungs. As a result, symptoms of asthma arise that include wheezing, coughing, shortness of breath, and tightness of chest. COPD or chronic obstructive pulmonary disease, on the other hand, is an obstructive pulmonary disease which also makes breathing increasingly more difficult, however, this condition develops over many years. Most people with COPD would only notice the symptoms when they reach their late 40s and 50s. Though these conditions may cause a lot of similar symptoms, asthma and COPD are far from the same condition. There’s really no clear explanation why people have asthma and some don’t, but it’s high likely due to a combination of genetic and environmental factors. Being exposed to occupational triggers such as chemicals used in hairdressing, farming and manufacturing. Tobacco smoking is the main cause of COPD in developed countries while being exposed to fumes from burning fuel for heating and cooking is the main cause for developing countries. Smoking – main cause of COPD and is thought to be the culprit for around 9 in every 10 cases. Fumes and dust at work – Substances such as grain and flour dust, fumes and cadmium dust, welding fumes, silica dust, coal dust and isocyanates have been linked to COPD. Though asthma is most common in childhood, you can also develop it at any point in your life. Don’t assume that it’s not possible for you to have asthma now since you don’t have it when you were a child. In fact, adult-onset asthma can be more of a problem. Another difference between asthma and COPD is that while asthma generally occurs in childhood, the latter starts during middle age and older years. This condition is not common among younger ones. Most people have experienced the signs and symptoms of COPD when they are at least 40 years old. The key to stopping asthma before it starts is prevention and long-term control. Usually treatments include learning to identify your triggers, making sure that you avoid these triggers and tracking your breathing to make sure that your symptoms are kept under control by your daily asthma medications. Albuterol, a quick-relief inhaler, can be used in cases of an asthma flare-up. Long-term asthma control medications are taken daily to minimize your risk of having an asthma attack. These include inhaled corticosteroid, long-acting beta agonists, leukotriene modifiers, combination inhalers, as well as theophylline. Quick-relief medications such as ipratropium, short-acting beta agonists and oral and intravenous corticosteroids are used to provide short term relief from symptoms during an attack. The most important step in any COPD treatment is to quit smoking. Since stopping smoking is absolutely not an easy thing to do, talk to your doctor about aids such as medications and nicotine replacement products. You can also join a support group for people who are on the same journey as yours. Medications such as bronchodilators, oral steroids, inhaled steroids, Phosphodiesterase-4 inhibitors, and antibiotics can be prescribed by your doctor. Though it’s quiet sad to say that there’s no cure for either of this condition, another difference between asthma and COPD is their prognosis. Asthma can be well controlled when early diagnosis and proper treatment is provided. Even some children outgrow the condition as they get older. Work together with your health-care provider and follow your treatment regimen regularly to be able to control your asthma. The prognosis of asthma is generally good as there are lots of available treatment plans and therapies that you can easily stick to. Though it may take more work and perseverance for some others, asthma is not generally associated with long-term severe respiratory consequences. COPD, on the other hand, is not only a progressive condition but it also gets worse over time. 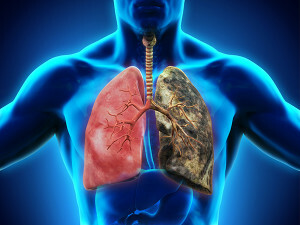 A lung that is damaged by COPD can’t be returned to normal even after several treatments. The progression of the condition though can be slowed down by treatments. Even the symptoms can be manageable as long as you stick with your treatment plan. Though there’s no way that you can predict how long you will live if you have COPD, it’s clear that having this progressive lung disease will surely shorten your lifespan. Make lifestyle changes and stick with your treatment plan to be able to manage your disease.